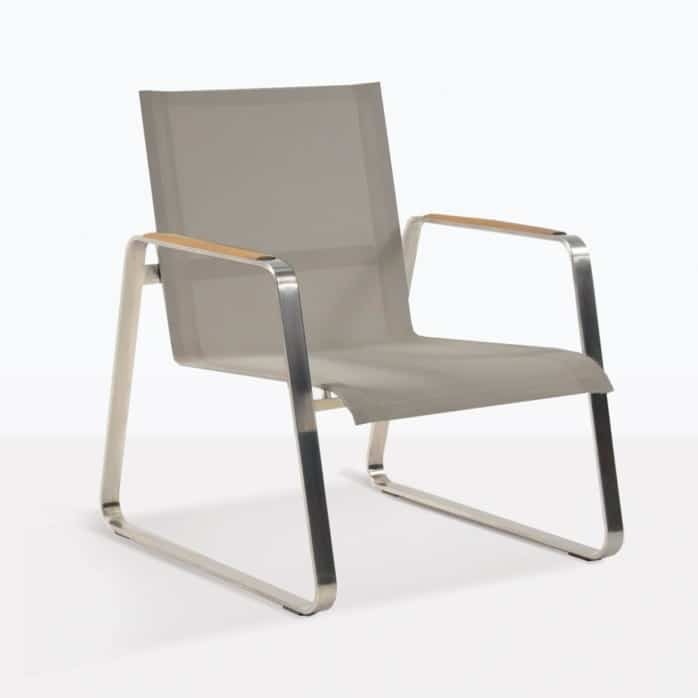 Sink into pure luxury with the state of the art design and sheer comfort of the Summer Stainless Steel Batyline® Relaxing Chair in dashing Taupe. 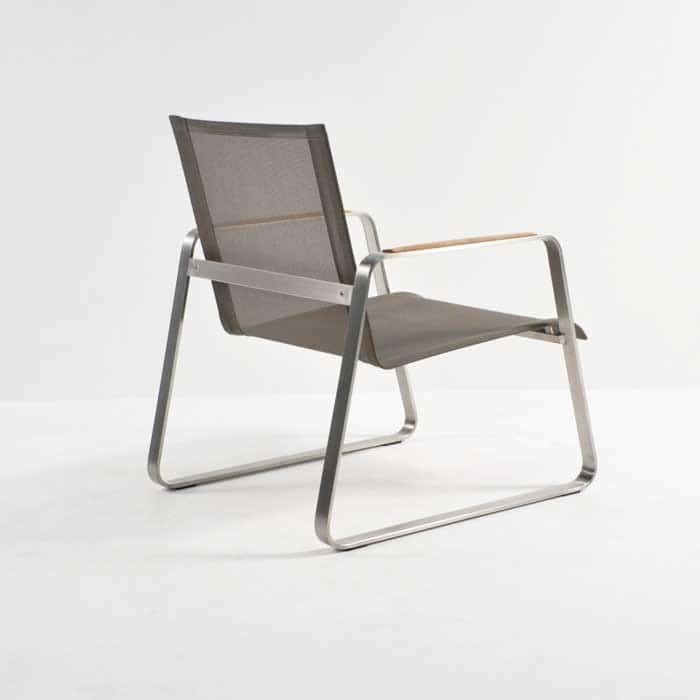 A crisp, sophisticated package the Summer Batyline® Relaxing Chair is a perfect collaboration of materials. 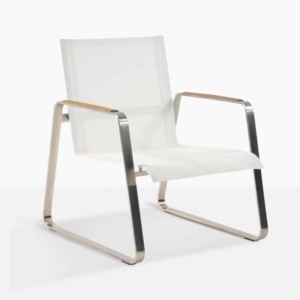 Beautiful mesh is met with severely stylish #316 stainless steel and finished off with a teak accent in a stunning design that our clientele adore! The Summer Relaxing Chair features a glorious sleigh like legs, curving under creating a look that is airy, contemporary and chic. The high functioning Batyline® mesh enables you to melt into marvelous comfort and relaxation as you feel the fabric adjust beneath your body to support you! 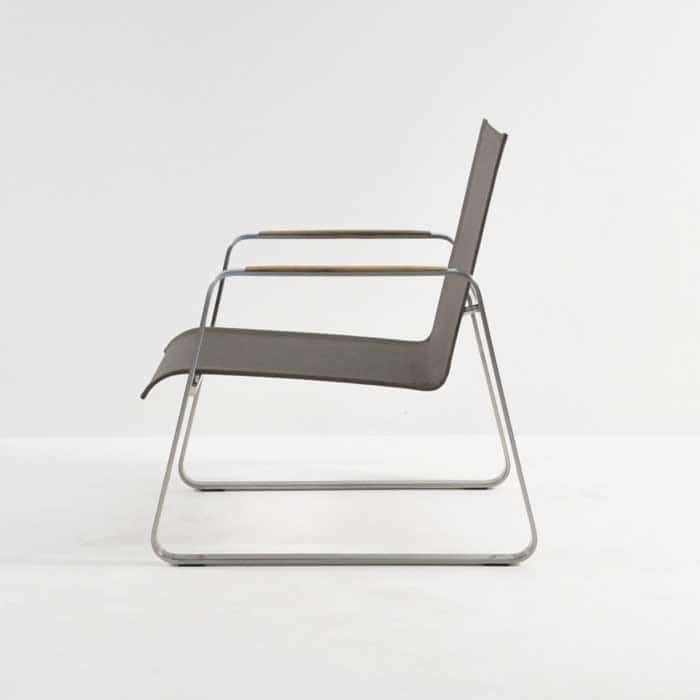 Once you’ve completed your relaxation, rather brilliantly, the chair is restored to its original shape! Place three of the Summer Stainless Steel Relaxing Chairs in Taupe poolside for a fun, fresh take on a lounge area post swim. Match them up with a couple of Summer Side Tables and get ready for ultimate relaxation in an area that is so slick and stylish! 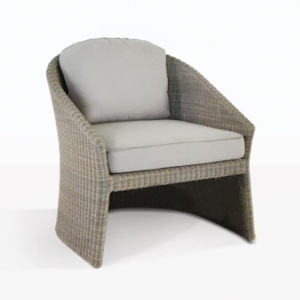 The Summer Relaxing Chair is an amazing choice for indoors as well as out. Bring into your office area for some low seating while you have casual meetings with staff and clients. It’s comfortable, it’s chic, and will impress! 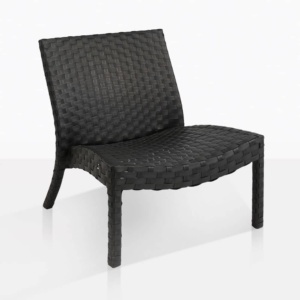 Our Summer Batyline® Chairs are made from high quality, luxury materials. Beginning with the strong, solid frame work, entirely constructed out of #316 stainless steel, which is marine quality, meaning it won’t rust or corrode outside, and with minimal maintenance, will look exquisite for years and years to come! The Batyline® mesh is typically used on yachts, and can handle the harshest of conditions. You’ll be impressed by the look, feel and longevity of this incredible product. And finally the teak accent is in none other than our famous Grade A variety, which is strengthened with natural rubber / oils. A deeply impressive package from Design Warehouse. Call us to buy yours today!